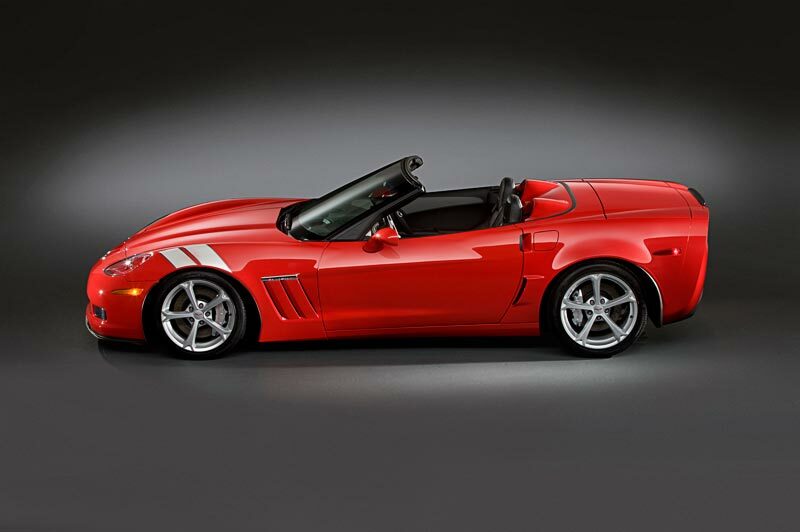 Chevrolet dipped into the past for 2010 with the introduction of the Grand Sport Corvette. Fender styling inherited from the Z06 and ZR1 - dubbed "wide body" by the Corvette community - was part of the bargain. Larger wheels (front: 18" x 9.5"; rear: 19" x 12") made the flaring necessary. The option was a tribute to a 1963 series of five racing Corvettes that were the brainchild of Zora Arkus-Duntov. Zora produced the Grand Sports on the sly but when his bosses learned of their existence, the program was axed since it violated corporate policy. 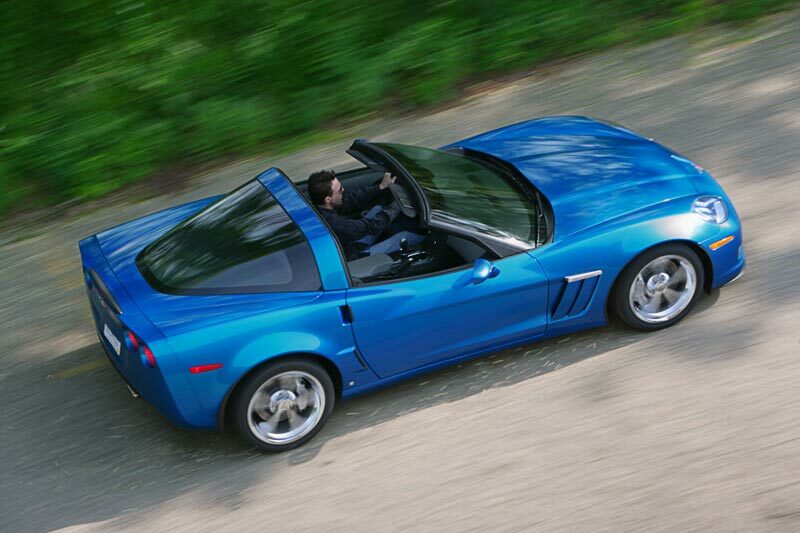 A Grand Sport Corvette was also available in 1996, the last year of the C4. Although it wouldn't be fair to refer to the 2010 Corvette Grand Sport as a "Z06 lite", it does share some important bits with the track day favorite. Besides the fender areas, upgrades from the base cars include dry-sump oiling system, differential cooler and a rear-mounted battery. The latter three are only possible when the Grand Sport edition is a coupe equipped with a manual transmission. Although automatic transmissions and convertibles are available with the Grand Sport, they do not come with those race car inherited items. The reasons behind this dividing line can't be found in the GM press release but Corvette enthusiasts can draw their own conclusions. 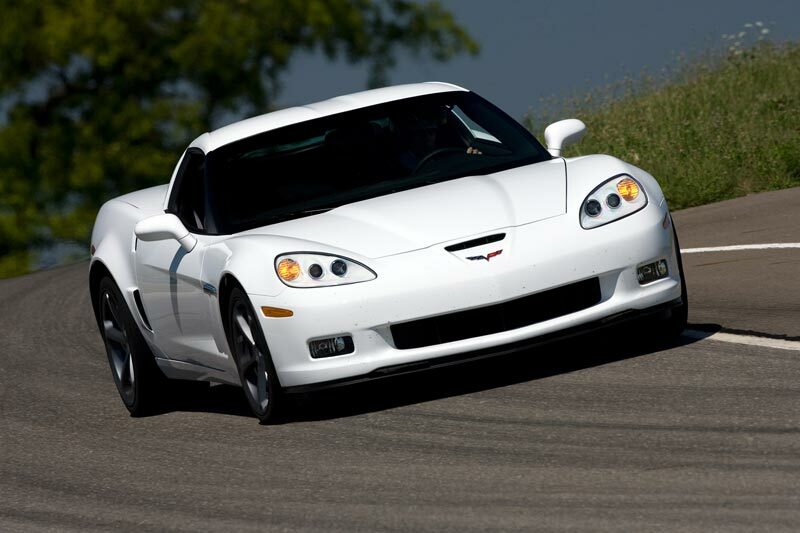 Other important performance parts shared with the Z06 include the brakes, which feature six piston calipers in front and four piston calipers in the rear. Functional brake ducting and the rear spoiler and front splitter is also the same as found on the Z06. Fitted to the larger wheels are the same Goodyear Eagle F1 Supercar tires as found on the Z06. 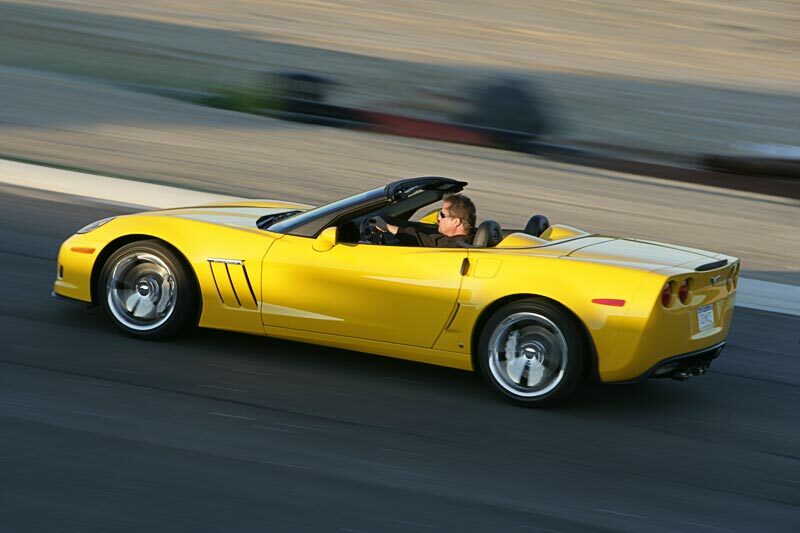 Also shared with the Z06 are the sway bars although the springs and shock absorbers are exclusive to the Grand Sport. The Grand Sport package replaces the Z51 suspension option of previous years. The Grand Sport engine is the same 6.2 liter (376 cubic inches) LS3 that propels the coupe and convertible Corvettes. It is rated at 430 hp. The optional dual mode exhaust system (RPO NPP; $1,195) ups the power to 436 hp. 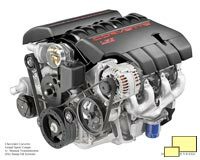 Features found on the Z06 but not in the Grand Sport include the 427 cubic inch displacement LS7 motor and the Z06's price tag; Although the Grand Sport is approximately $6000 more than the basic Corvette, it is almost $20,000 less than the Z06. Also note that the Grand Sport is available as both a Targa roofed coupe and a convertible where the Z06 is exclusively fixed roof. This is because the Grand Sport is built on the same steel chassis as the coupe and convertible, not the aluminum backbone that the Z06 relies on. 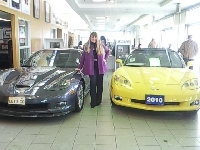 The scales conclude the story with the Z06 weighing 150 pounds less. 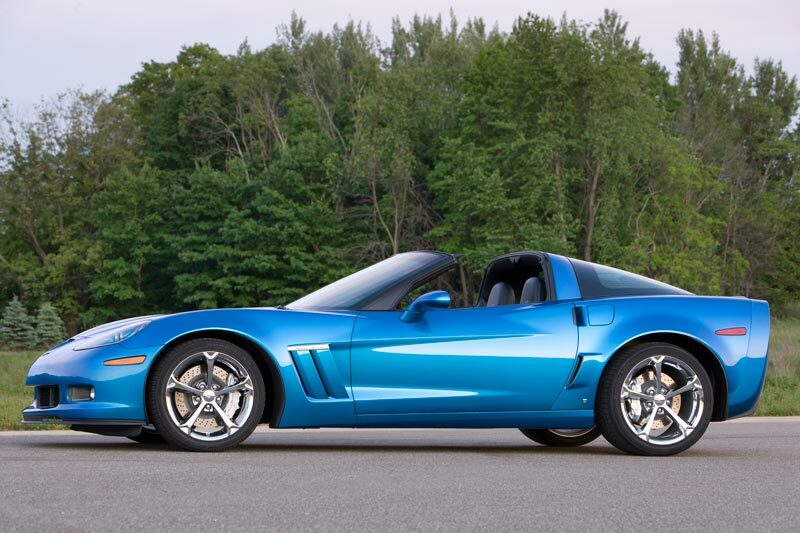 Notes: Base Corvette Coup with 6.2L 376 cu. in. 430 hp engine and six speed manual transmission: $49,880.00. Base Corvette Convertible with 6.2L 376 cu. in. 430 hp engine and six speed manual transmission: $54,530.00. 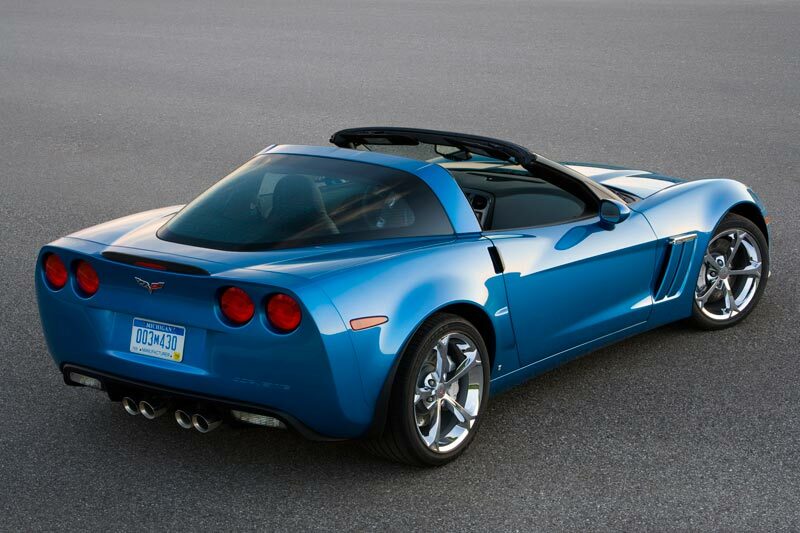 Grand Sport Corvette Coup with 6.2L 376 cu. in. 430 hp engine and six speed manual transmission: $55,270.00. 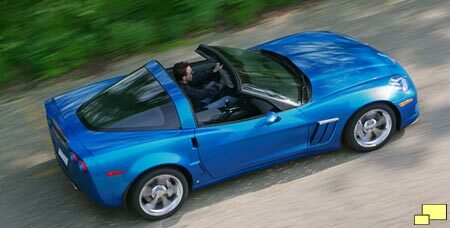 Grand Sport Corvette Convertible with 6.2L 376 cu. in. 430 hp engine and six speed manual transmission: $59,530.00. Z06 Corvette Coup with 427 cu. in. 505 hp engine and six speed manual transmission: $75,235.00. ZR1 Corvette Coup with 6.2L 376 cu. in. 638hp engine and six speed manual transmission: $107,830.00.